As the various end-of-year holidays draw near, business owners have several easy opportunities to give their teams a sense of belonging, affirmation and meaning. And that’s important, because multiple studies have shown that employee happiness is directly linked to productivity. For example, a study by economists at the University of Warwick found that happiness led to a 12% spike in productivity, while unhappy workers were 10% less productive. Maybe it’s because I’ve always employed highly creative people, but in our office, Halloween has always been one of the most anticipated days of the whole year. It gives people an opportunity to show off their creativity, take a well-earned break and have some fun with coworkers and customers. For the relatively small cost of candy, some decorations and prizes for best costumes, Halloween can become a great way to boost morale and camaraderie well beyond the new year. 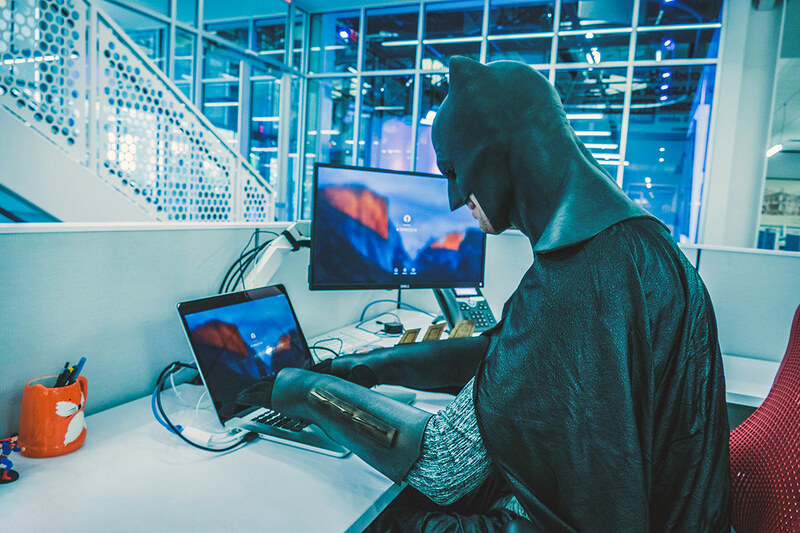 At Digital-Tutors, we would treat most of the day as a typical workday, even though everybody wore their costumes all day long. The festivities would begin around 4:00 in the company atrium. Food was done pot-luck style, with everybody pitching in to bring snacks and treats. We would provide some beer, and I usually made a batch of my special Halloween blood-red sangria for the party. There were prizes for funniest costume and for scariest costume. The real prize though, was the coveted Golden Skull trophy for all-around best costume. It was really just a plastic skull from a local Halloween store that we painted gold, but that didn’t matter! 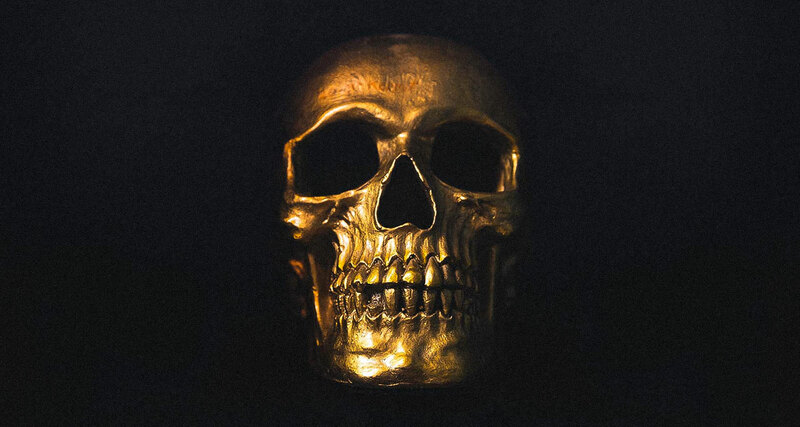 What made the Golden Skull so special was that there was only one in existence. If somebody won the skull, they got to inscribe their name on it and keep it at their desk — but only for a year. If somebody new won Best Costume the next year, they won the right to inscribe their name on the skull and keep it at their desk until next Halloween. Let me tell you, people brought their A-game for a chance at that skull, and the winner always displayed that simple little item in a very prominent spot on their desk! We wanted to make sure our employees could still go trick-or-treating with their kids, so at 5:00, people were permitted to head home. But those who wanted to continue the office party were welcome to stay as long as they wanted — the only thing we asked was that when the last group is ready to leave, they take a few minutes to clean up before they head out. Everybody was always very respectful about not leaving a big mess for someone else to clean up. The parties usually lasted well into the evening, with employees’ families often joining the festivities after 5:00. Families would usually be in costumes as well, which just added to the fun! First, make sure everyone understands that it’s optional. Some people may not feel comfortable dressing up or celebrating Halloween, whether for personal or religious reasons. Also, set some boundaries. This is still a professional workplace after all, so people should avoid costumes that include cultural stereotypes or other risque attire. Don’t automatically assume that everyone already understands these rules. Make them clear. Remember, this should be a time for fun and bonding — you don’t want one person’s poor judgment to ruin the party for everyone else. It’s important for your employees to feel a sense of belonging, affirmation and meaning from their workplace. I refer to these three things collectively as BAM. 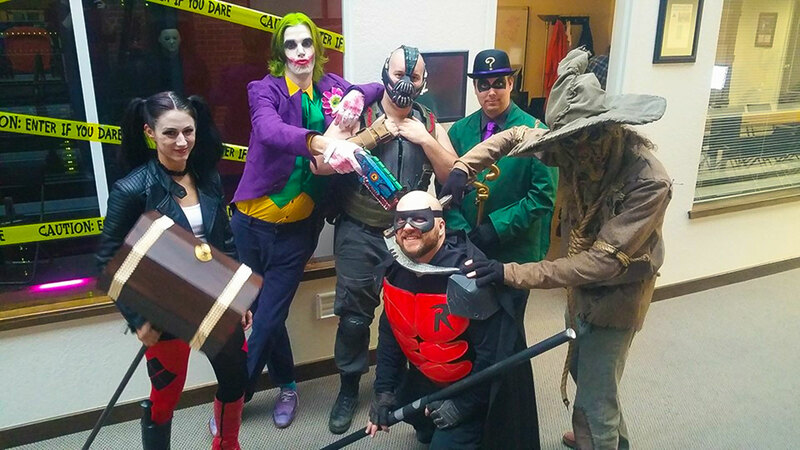 Halloween is a great way to add some BAM to the office by creating awesome shared memories as a team.